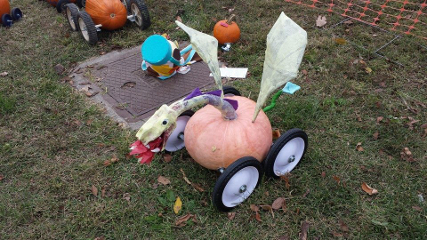 The Great Carbondale Pumpkin Race is a chance to have fun and raise money for a local charity by designing, building, and racing your very own Pumpkin Racer! Build the fastest racer you can, or go nuts with the most original design you can think of! There is a $100 grand prize, but most people just race for the fun of it. Remember, cheaters never win (see the Official Rules below)! The Great Carbondale Pumpkin Race is organized by theRotary Club of Carbondale-Breakfast, with cooperation and support fromCarbondale Main Street,Carbondale Chamber of Commerce, and theCity of Carbondale. This year the race is partnering with Safe Halloween at Murdale, and Candy Walk Downtown Trick-or-Treating 12-2, and sponsored by many area businesses. During the race,Carbondale Community Arts will host a costume contest. 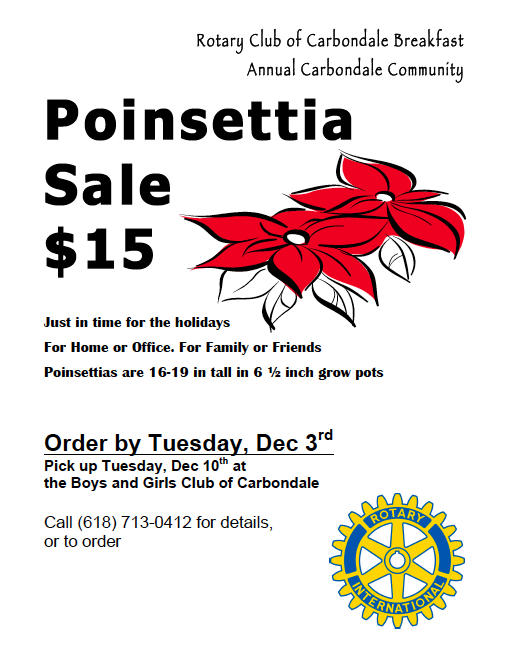 Children, individuals and families can participate for free! Following the races - Prizes for race winners and costumes! How: Pumpkins should be creatively decorated. If you need help crafting your pumpkin racer, or have any other questions, call618-529-8040 or send us anemail. Good luck! 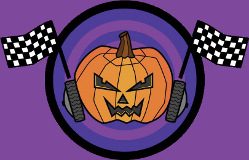 Craft your Pumpkin Race Car using a single pumpkin. Spice up your racer with style. Insert a minimum of two independent axles through your pumpkin and attach wheels to the axles. The axles must go through the wheels. No caster wheels. No pushing or "helping" your Pumpkin Racer on the starting line. No last minute shove, the hidden thumb flick, the early release, the remote control chassis, etc. See Rule #7. No chasing your pumpkin down the track to make it go straight. NO CHEATING. Feel great about being honest and fair. Don't be tempted to be a Cheater Pumpkin. Our Race Officials have a keen eye and Cheater Pumpkins will be subject to public destruction by the Mallet-O-Justice! !